Harry N. Abrams, 9781419728945, 272pp. Gaby Dalkin is a cookbook author, private chef, entrepreneur, and food and lifestyle writer. She currently lives in Los Angeles with her husband, Thomas. "Simple, healthy recipes featuring fresh produce and a laid-back attitude in the kitchen." 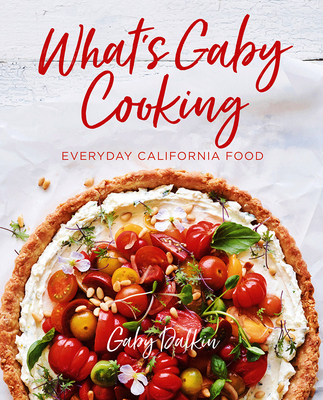 "'What's Gaby Cooking, Everyday California Food,' is a celebration of the way we eat here in Southern California, reflecting the region's diversity, the abundance of fresh, vibrant produce, and the fact that we're always tinkering with our diets. (Translation: Vegans, meat eaters, the no-carb and the all-carb crowds will all find something in its pages.)"